Even in this progressive, bohemian city of Berlin, reminders of war are everywhere. Awkwardly shaped parks reveal watch towers from the Wall era. An ornate cathedral discloses gaping holes in its knave — now a courtyard garden. Indestructible air raid shelters, showing distress from bullets and bombs, gets adapted into theater space. The extent of the damage (physically, psychologically) is impossible to grasp. But the resolve is pretty remarkable. 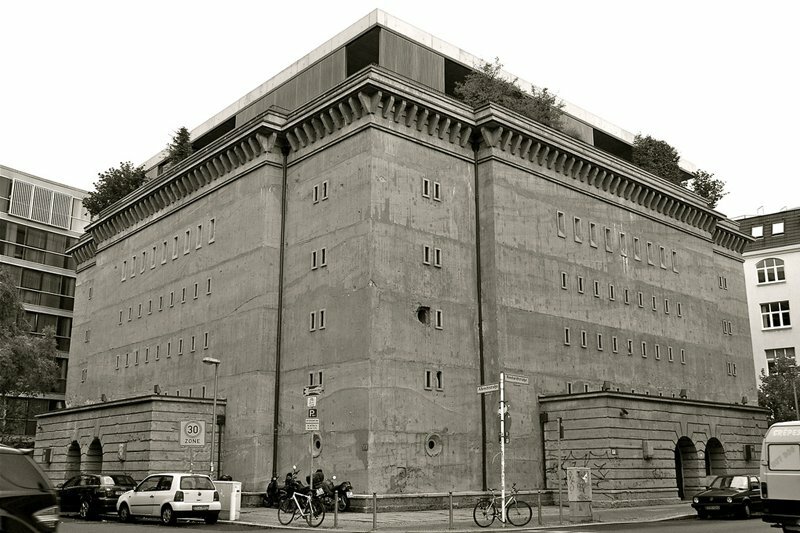 In 2003, a monolithic Nazi bunker in Mitte (used as a Red Army prison, Cuban fruit storage unit nicknamed Banana Bunker, then '90s underground fetish club) caught the eye of a prominent art collector named Christian Boros before catching the wrecking ball. A team of architects and curators spent years carving up the four-story building (the walls are ten feet thick in some places! ), to create an interior with the right light and flow for displaying a wild collection of contemporary art — from a stunning (and very soothing) glass orb by Olafur Eliasson to ominous (and even burdensome) sculptures from Santiago Sierra. Artists were invited to the bunker to install their work as they saw fit. In some cases, they changed their works to comply to the space; in others, construction was done to accommodate the art. Some of it is quite heady. Some of it just makes you feel very good (or very bad, depending on the artist). The overall effect — from the sub-level entrance to the sheer volume of displayed work — is pretty mesmerizing. You have to book weeks (or months!) in advance for a special guided tour of the Boros Collection, but it's well worth the wait.